Welcome back to a Tuesday edition of the game we call, "What Am I?". Today's version of the game has a lot more clues than the usual snippet of a picture. Remember the TV advertisement where the pitchman is screaming into the camera how insane his prices are? That is us because today we are giving you everything! It can't be true, but in fact it is. 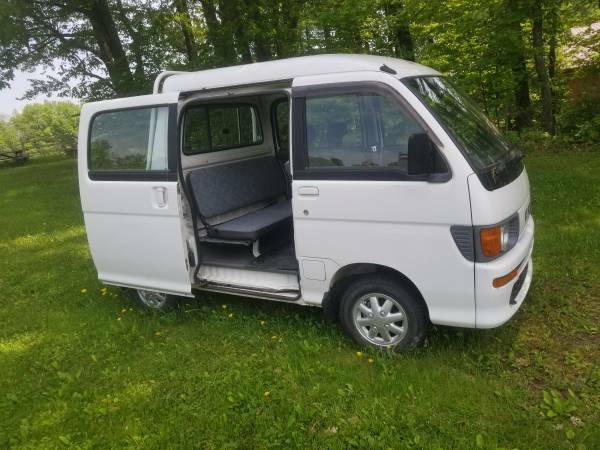 The entire for sale ad for the today's subject can be found here, name this mystery JDM Kei Deckover for sale in Harpusvillle, NY. Good info if you can register one of these in your state here: Kei trucks. Labels: Cory, JDM, Kei Truck, What Am I? 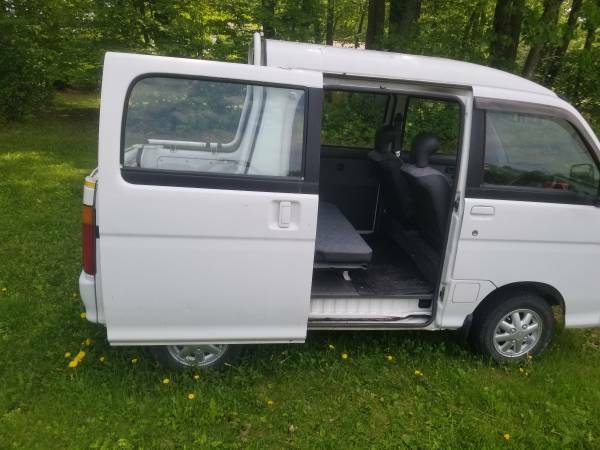 Obviously that's a Daihatsu HiJet. The Corner markers and wheels are good indicators. 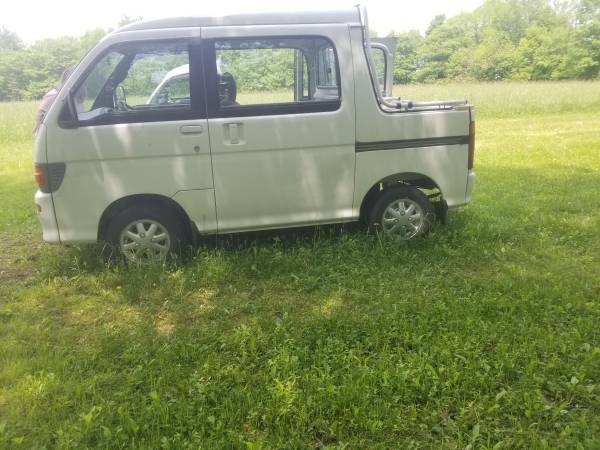 I've always kinda wanted a Kei Truck. This would be perfect as long as I never needed to go above 45. Harpursville, NY. 40 mi from me! is this a pickup/DOKA crew cab taken to the absolute extreme? room for 4(small) humans and a "bed" large enough to carry a single hanging basket?